Information on getting a mortgage after payday loans is often confusing and contradictory. Our advisors have put together this post to explain everything regarding a mortgage after payday loans. With access to every UK lender, including specialist lenders, we can search the entire market for you. Whether or not you’ve used payday loans, we’ve helped many people secure mortgages, even when they’ve been declined by other lenders and brokers. You can make an enquiry below to get started. A payday loan is often a short-term solution for those in need of a quick burst of cash. In return, companies that offer payday loans only do so with (usually) extortionate rates. The loan is then paid back within a month and usually on your ‘payday’, hence the term ‘payday loans’. You’ve probably seen adverts from companies like Quick-quid and Wonga offering fast cash with minimal fuss and this is exactly what payday loans are. Although payday loans tend to be attached with high rates, they can be useful. Life can be unexpected at times and payday loans are generally taken out in emergencies whilst you simply won’t have the funds until your payday. From a financial viewpoint, payday loans shouldn’t be something that someone is constantly using. Payday loans should only be used as a last resort. The main disadvantage of payday loans is that the rates are typically over 1000%. It wouldn’t make financial sense to repeatedly use payday loans, would it? You’d be surprised! Statistics show people who take payday loans tend to repeatedly use them. So how does a payday loan affect your mortgage? Can I get a mortgage after payday loans? The short answer is yes, getting a mortgage after using payday loans is possible. It’s worth noting that you won’t have the same flexibility when compared to borrowers who’ve never used payday loans. Although there is a lot of conflicting advice online, (as there is with everything!) a payday loan most certainly does not improve your chances of mortgage approval. We’re astounded by the number of people we speak to, that believe taking payday loans increases their chances of getting a mortgage. Let us clear the confusion up once and for all. Credit reference agencies such as Experian and Equifax assess your score partly on whether or not your credit is kept up to date. Falling behind with credit payments will have a negative impact on your credit score. Making payments on time will have a positive impact on your credit score. By taking out payday loans and then repaying them back on time, actively shows credit agencies that you can keep up to date with your credit. In turn, this can then improve your credit score as it shows you to be a good borrower. Although mortgage lenders will look at your credit score, having payday loans can often result in them declining you a mortgage. It’s important to remember that lenders will have their own policies in place. Credit scores are only used as part of their assessment. A lot of lenders shy away from borrowers who use payday loans as it’s easy for them to assume that you’ve been in some tough financial situations which can make you appear high risk. The major point here is, you can have the highest credit score possible and still be declined a mortgage. If you’ve used payday loans you simply can’t rely on a great credit score to secure a mortgage. Lenders will always prefer a borrower who doesn’t use payday loans as opposed to a borrower applying for a mortgage after payday loans. Why don’t mortgage lenders like payday loans? Most lenders tend to avoid applicants involved with payday loans. The main reason is that underwriters assume that borrowers have only used payday loans due to not having a strong financial basis. For this reason, payday loans can ring alarm bells for most lenders as it shows applicants to be higher risk. Don’t let this put you off. There’s still a selection of lenders in the market that offer mortgages after payday loans and at some pretty good rates too. The key is going to the right lender. If ‘Lender A’ doesn’t accept mortgages after payday loans, whereas ‘Lender B’ does, you’d need to go ‘Lender B’. This may sound obvious, however, it’s only obvious if you know where to look and what criteria lenders have. Lenders don’t openly have their assessment criteria available for everyone to see and certainly won’t go into as much detail to mention payday loans and their effects on your application. Only experienced advisors will have this information, as they’re in constant communication with lenders on a daily basis. Will my bank give me a mortgage after using payday loans? Most borrowers will usually go straight to a high street bank, only to be declined and then give up on getting a mortgage altogether. 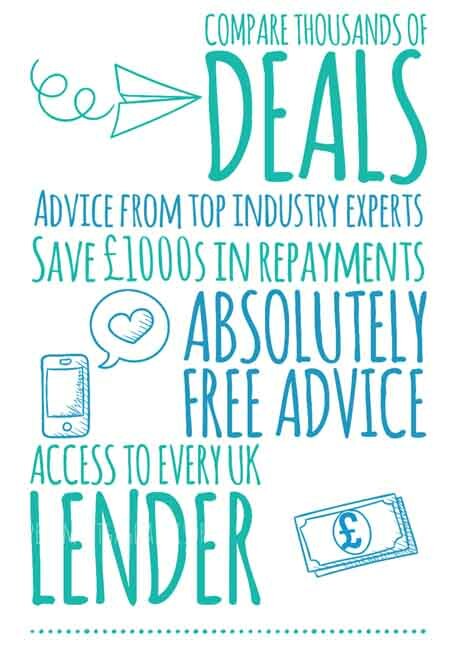 The knowledge and experience of an expert advisor ensures that you’re informed of the best suited lenders to go to. This means you’ll have a structured approach in the quest to getting your mortgage secured, which is what you’ll need to do if you’ve had payday loans. Even advisors who claim that they’ve got access to great products and the whole market can often become puzzled when payday loans are mentioned. As our specialist advisors deal with mortgages after payday loans quite frequently, there’s a wealth of knowledge that can help you in your application. The last thing you want to do is take a chance with a mortgage application. This can only cause you further setbacks if declined (and a waste of time and money!). My payday loan was over 5 years ago, will it matter? The timeline of your payday loans makes all the difference. If your last payday loan was over six years ago, then applying for a mortgage should be pretty straight forward. This is especially true if everything else is intact, such as your credit file. If your payday loans are recent, then getting a mortgage can prove difficult, but not impossible. It’s important to note that some lenders may still decline you for having ever used payday loans. Even if payday loan use was over ten years ago, some lenders will see that as a red flag. That being said, there are enough lenders in the market that tend to be flexible if payday loans were used over six years ago. How much can I borrow if I’ve had a payday loan? If you need a mortgage after payday loans and are yet to speak to an expert advisor, it’s difficult to give you an exact amount of how much you’re likely to be approved. Listed below are things to consider when applying for a mortgage that may give you some indication. As every lender will assess your affordability on different factors, the maximum amount you can borrow will differ. The majority of lenders often cap mortgages after payday loans to around 3-4x your annual income. Other lenders may use a completely different method to assess how much they’ll lend. For instance, looking at your monthly outgoings in addition to your income. ‘Lender A’ may offer you a maximum mortgage of £150k with ‘Lender B’ prepared to offer you a maximum of £250k. ‘Lender C’ may not accept someone newly self-employed and ‘Lender D’ declines applicants with varied income. This is why having an expert mortgage advisor can make all the difference. Expert advisors can present your income in the best possible way to the best suited lender for your circumstances. If you have a 5-10% deposit and are in need of a 90-95% LTV, then the number of lenders available will be restricted. This becomes further apparent when you’ve used payday loans. The majority of lenders will therefore at least require a 15% deposit and only offer 80-85% LTV products. That being said, there are still lenders that may offer high LTV products, even after the use of payday loans. If you’re applying for a mortgage after payday loans, lenders will see you as higher risk than normal. Because of this, lenders will tend to charge higher rates and fees to provide them with security, however this largely depends on the borrower. For instance, if you have a large deposit, a great credit score and used payday loans a number of years ago, you may be offered great rates with minimal fees. As lenders will be limited after using payday loans, you may also be limited in your mortgage type. For example, if you had the choice of the open market, you could choose from different mortgage types such as fixed or tracker rates, interest only or repayment, etc. However in this case, you may only be offered a mortgage product with very rigid options. If a particular lender was to offer you a certain mortgage type, you may not have the option to pick and choose from all the varied types of mortgage products. If you have bad credit in addition to using payday loans, then things can get really difficult. 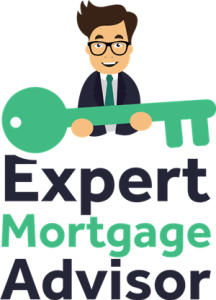 Our expert mortgage advisors are specialists in adverse credit mortgages and you can find a wealth of information on this site. It’s possible to get a mortgage with defaults, CCJs, debt management plans, late payments, IVA’s, bankruptcy and even repossession. In addition to payday loans, lenders will analyse every angle of your application as they’ll deem you as high risk. The last thing a lender wants is for borrowers to be using payday loans to meet payments. This is because your finances could easily spiral out of control as a result. Lenders aren’t all so rigid and can take your personal situation into account. You may have gone through a difficult time in your life such as divorce or ill health. This could have directly impacted your financial stability. With evidence of recovery, lenders tend to see this as taking financial control. Regaining financial stability can persuade certain lenders to see past your adverse credit. If you’ve been careless with spending and incurred debts that you could have avoided, then lenders will need more to convince them in approving your mortgage. If you’ve taken a payday loan and then defaulted, lenders will see you as an extremely high risk borrower. This is because you’ve gone to the extent of using a payday loan and then defaulted, which from a lender’s perspective shows that you’ve had financial difficulties. As every case is different, you may have evidence that you’re now financially stable which may sway lenders into giving you the green light. Other things can also help such as having a large deposit or if the payday loan default was a number of years ago. If you’ve been declined a mortgage after payday loans, don’t worry. We often speak to members of the public who have also been declined to go on and then get a mortgage. Sometimes applications can get right to the final stage and then declined at the last minute which can be awful. Some lenders use automated programs to assess applications. Once underwriters pick the issues up they’ll simply decline the mortgage as they haven’t been given any other information. It’s often difficult to then get the decision reversed, but it is possible. As we previously said, it’s always worth taking your time and speaking to an expert mortgage advisor. Our advisors can place your application to the best suited lender. They’ll also keep in close communication with the underwriters should anything give them doubts. There are many lenders that will consider approving a mortgage after payday loans and we work with them on a regular basis. If you’re still unsure, you can ask our advisors a simple question to get started.